Bentley will add a 4.0-liter V8 model to the Continental GT range. It bows at the Paris auto show. 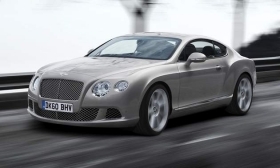 Bentley said today it is planning to add a 4.0-liter V8 model to the Continental GT range after it retools its elegant coupe for the 2011 model year.